Sometimes you need to delete files having certain extension within a directory. Two approach are possible, you can either list all files within the directory and check their extension before deletion or list only files having the extension using filename Filter and delete all of them. 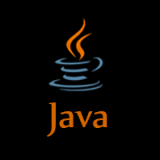 Java provides the interface java.io.FilenameFilter to filter filenames. Instances of classes that implement it are used to filter directory listings in the list method of class File. * Filtering file according to there extension. * Accepting only files ending with the extension. * Delete files within a directory. // Directory containing files to delete. * Deleting files with an extension within a directory. * Path to the directory where files to delete are located. * Extension of files to delete. * Thrown exception if can't delete a file. // Listing only files having the extension. // Using the custom filenameFilter : ExtensionFilter. 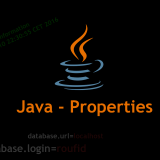 * Delete files within a directory having certain extension with native Java.